Cinema came to India from France on 7th July 1986, when six silent film strips, made by Lumiere brothers, were shown in Mumbai's Watson Hotel. Three years later, a Marathi still photographer, H.S. Bhatwadekar shot India's first movie strip in Kamla Nehru Park in Mumbai. Fourteen years after that, in 1913, D.G. Phalke made the first Indian Feature film, Raja Harishchandra. The Indian cinema became the world's largest in volume, overtaking Japan in 1971. Some 900 feature films are added every year, bringing the total to nearly 33,000 at the end of 2003. Since Satyajit Ray compelled the world's attention to the Indian cinema through his debut, Pather Panchali in 1955, a new genre has been added, called variously as auteur, art parallel minority, offbeat etc: Ray himself preferred the term offbeat. In this chronicle, the author presents an uptodate bird's eye view of the genre and holds that in its totality, it reflects the 'conscience of the race'. Born in West Bengal in 1940, the author studied English literature and joined the Indian Information Service. He worked in various Media Units before retiring as Registrar of Newspapers of India. An avid filmgoer since boyhood, Shri Ray has written extensively on good cinema in various newspapers and journals, including Sight & Sound . London, Dictionary of Film & Film-Makers, Chicago. The writing of any form of history is subject to many hazards in India. The most basic of them is the traditional contempt of accuracy of fact and the glorification of myth making. With the exception of Kalhana's Rajatarangini (11th century), there is virtually no writing in Sanskrit which can be described properly as history; our literature overflows with para-history in the Mahabharata, the Ramayana and the 18 Puranas and the progeny spawned by them in late medieval times. The predominance of para-history over history served the very material purpose of the manipulation of texts in order to bend the past to the exigencies of the present. Thus the epics and the Puranas were both originally told by the Sutas, or the king's retainers, who kept him company in peace and drove his chariot in war. In the caste hierarchy, they were lower than the Brahmins; thus, the latter had no difficulty in dispossessing them of any chronicle that became overly popular and reworking it to suit their own interest. The anonymity of the writer of the chronicles only helped the process. The Mahabharata grew from 24 thousand shlokas in the original long poem, called Jaya to 100 thousand over a period of eight hundred years (c. 400 B.C.-c. 400 A.D.), providing ample scope to the Brahmins to interpolate to the extent that the interpolated text grew to four times the size of the original. Some of it resulted from the addition of tales, gaining currency later on and deemed suitable for accession into the vast compilation that the epic turned into but there are others, which clearly preached the casteist ideology of the later-day authors. Shocking as it may seem to Hindu zealots, respect for exact historical dating of events was alien to the Hindu temperament and came into currency only with the advent of the Muslims via the scientific penchant of the Arab civilization c. 9th to c. 15th century. This traditional difficulty is compounded in the field of the cinema by the absence of archives. Fire hazards in the inflammable medium of cellulose nitrate rolls were not the sole reason for creating the desert of historical resources in the silent period. There was, in addition, the filmmaker's contempt for his own creation as ephemera, devised solely for the purpose of making money. This is apparent from the fact that even after cinema changed to the non-inflammable medium of cellulose acetate in the 1950's, neither the film industry nor individual film producers rushed to convert the old stock to the new and to conserve their products for posterity. That had to await governmental intervention in the form of the National Film Archives of India, which made it possible to see a fair number of early talkies under one roof, for the first time. J.B.H.Wadia was possibly the only one among the individual producers to preserve most of his works in fair condition over his long career in cinema. As if this ahistoricity were not enough, regional, racial and linguistic chauvinism added their own distorting mirrors to confuse the picture. Bengalis pressed the claims of Hiralal Sen, trying to establish him as the real father of Indian cinema on the strength of contemporary reports and without one foot of surviving film. Maharashtrians advanced the cause of Harishchandra Bhatwadekar (Sawe Dada) with equal enthusiasm and with equally secondary evidence. Indeed, the primacy of Phalke would perhaps have been challenged more vigorously by the camp followers of Tornay who made the full-length fictional film, Pundalik fully a year before Harishchandra, if both had not been from Maharashtra. Where Phalke remained memorable and nationalistic was in his pronounced zeal in proving that whatever India's then rulers, the British, or let us say the Western man with his sense of superior knowledge since the European Renaissance could do, we could do as well, if not better. In doing so, he also managed to give the films a cultural specificity, which has protected them from all invasions of foreign cinema, however powerful. There are very few countries today, which are independent and self-sufficient in cinema and even its variants on the small screen, as India. Phalke's indigenisation of the cinema was peculiarly Indian in the way he established the power of myth over the power of fact, reinforcing India's traditional instruments for continuing its caste-ridden, belief-led reliance on a hierarchy of privilege and in sanctifying the role of Kshatriya violence in upholding the brahminical social order. Resistance to social change was thereby built into the body of Indian cinema and eventually overcame the urges towards social realism, which manifested in the 1930' s and continued into the 1950s. This marginalized the realist trend into the small space, created by a minority cinema of the serious creative filmmaking, primarily concerned with the universal language of cinema, rather than its Indian dialect, in its expression of art and a social conscience. This happened especially after Satyajit Ray's Pather Panchali (1955) and the movement that came up in its wake with the support of the Government and the intelligentsia. The middle ground between personal and commercial cinema that had been created in the 1950s by Guru Dutt, Raj Kapoor, Shantaram, Mehboob and Bimal Roy, slowly eroded and gave way to the actual polarity, however artificial it may seem, between commercial and art cinema. In the process of filmmaking, there has been an integrative, connective tendency, which is not present in the product. People of all regions, faiths, castes, languages and physiognomies have worked happily together in Bollywood for decades together in a model of harmony. The language of the films also bears testimony to this unifying principle in evolving a widely comprehensible Hindustani, made up of Hindi dialectal words, Urdu and smaller borrowings from other languages, reflecting the diversity of India, and bypassing the oppressive Sanskritization of the official language whose failure on the ground has been evident for decades. Hindi cinema is acceptable through the length and breadth of the country but the opposition to the imposition of shudh Hindi remains unabated. The other regional cinemas have been too small to hold their own against the forces of homogenisaton. 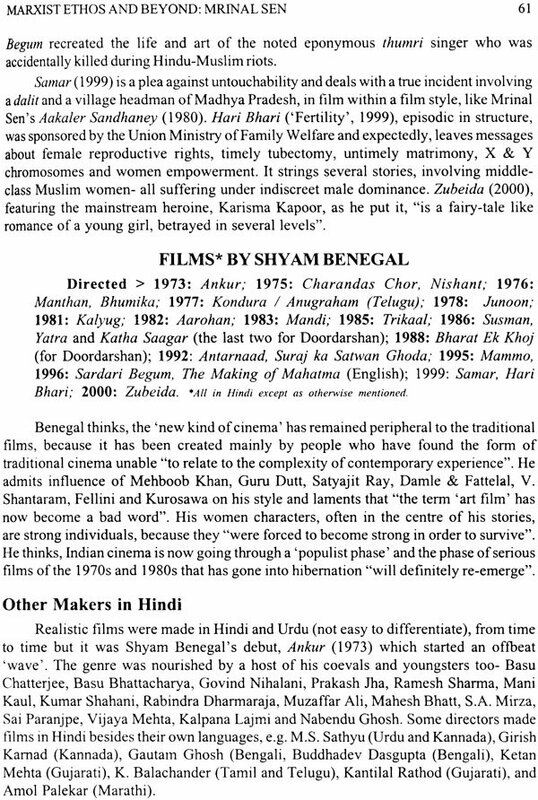 Bengal, at one time, dominated the Hindi cinema by dint of its cultural power derived from nearness to the British and early access to Western style education. 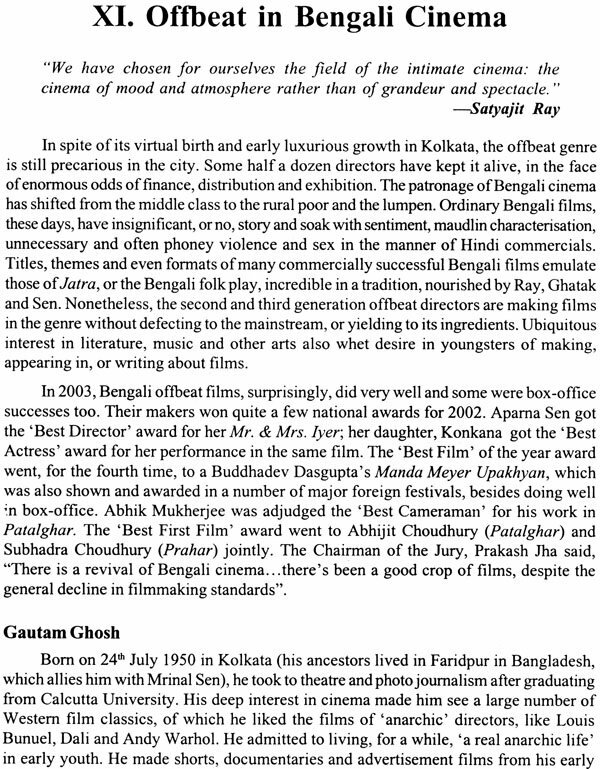 But as time wore on, Mumbai's superior commercial success overpowered the cultural clout of Bengali cinema, divesting it first of its all-India role in the New Theatres period, then of distinguishing traits of its practitioners in Mumbai, decimating the so-called 'Middle Cinema' and finally capturing the Bengali audience for the Hindi product. 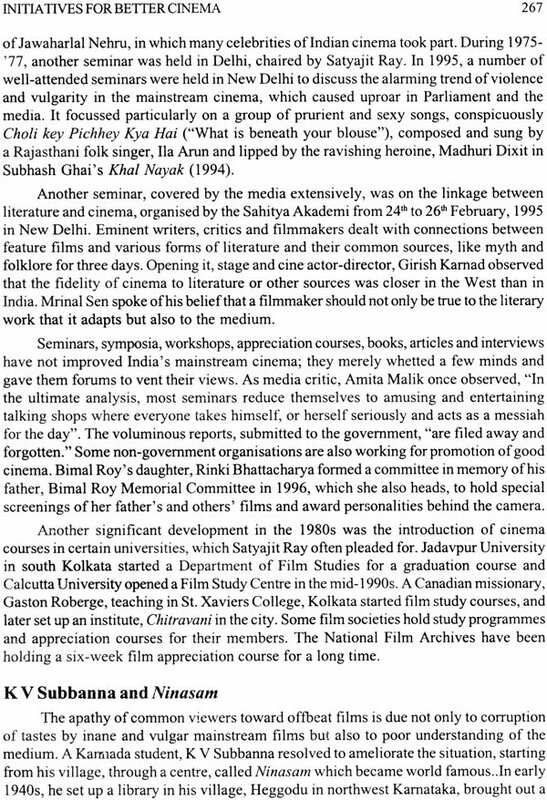 State help for the survival of culture-specific cinema has been either short-lived, or inadequate, or both.
. In two States of the South- Tamil Nadu and Andhra Pradesh- the serious creative cinema was hardly permitted to take its birth. NTR proclaimed himself against it in an interview. MGR is not known to have made any overt statements to that effect but his actions, such as the pattern of entertainment tax he established, were clearly calculated to prevent any non-conformist cinema from taking root. In Tamil Nadu, it is hardly possible to succeed in politics without succeeding in the cinema. No wonder, the State leaders have never been anxious to allow any other kind of cinema to grow, not to speak of prospering. Kerala, with the ideological values projected by its strong Marxist [ethos] had the realist cinema carve out a niche for itself, catering to sections of the intelligentsia. Karnataka has maintained more of a middle-of-the-road position, neither precluding nor fostering, except for a while in the 1970's, a cinema that addressed social reality directly, and not through the prism of unmediated myths. Pockets of resistance remain in Manipur, in Assam, in Orissa but mopping-up operations are in force and the chariot of Hindi film is not likely to be held up for long. In the Northeast, the Hindi cinema has become a conduit for a Westernised homogenisation, which belies slogans of cultural separatism. Thus, a highly culture-specific standard product of Indian cinema, which speaks, like the Beijing Opera films, a dialect that those versed in the universal language of world cinema can barely decode, serves to obliterate cultural specificities within the country. Is acceptability in the Third World over the past decades since Independence is also fast eroding with the growth of national cinemas in countries of Southeast Asia and sections of Africa? By contrast, Japanese cinema, despite its deeply national character, has almost always adopted cinematic idioms that are admissible to the universal language of cinema. An outstanding example of this is in the works of Ozu, which have found ready acceptance with cinematically literate audiences everywhere, despite their inalienably Japanese character. A similar example can also be seen in the cinema of Satyajit Ray, despite its obvious debt to Hollywood's linear narrative methods. The space for contemplation, which his films provide within the Hollywood editing pattern and the slow pace of their movement, germane to the traditional rhythm of life in India, mark them out so effectively as almost to make this style sui generis. Its elements are drawn from French, Russian and Italian cinema of certain periods, besides Hollywood but the end result bears the unique stamp of Ray. Its Indianness is entirely in the mind that informs it; Ray owes little or no debt to his forerunners in Indian cinema and stands in outstanding contrast to Phalke. Cinema arrived in India from France on 7th July 1896 when in Mumbai's Watson Hotel (now Army & Navy Building, near present-day Kala Ghoda in Esplanade area), six short silent movie strips, made by Lumiere brothers of Paris, were shown to the local elite. Three years later, in 1899, a still photographer of Mumbai, Harishchandra Sakharam Bhatwadekar (later known as Sawe Dada) shot a movie strip in 1899; the first 'wholly Indian' silent feature film, Raja Harishchandra came to be made, 14 years thereafter, in 1913, by another Marathi D G Phalke. In nine decades thereafter, some 33 thousand films, long and short together and including over 1300 silent, have been released. In 1971, India with 431 feature films made that year, overtook Japan to become the world's largest film-producing country. Annual production has since doubled, even more in some years, taking India further ahead of major filmmaking countries. Joined together, India's movie films can twice girdle the earth's circumference at the Equator. In more than a century, Indian cinema has grown and diversified enormously. One wishes, this exponential growth was reflected in quality too. The world acclaimed films made by Satyajit Ray and some of his offbeat successors but the much larger, mainstream cinema remain the favourite of common cine-goers, not only in India but in many other Asian and some African countries too. Western people (except Asians abroad) did not take much note of it till recently, when some Hindi mainstream films- some of them shot, premiered and distributed abroad- ran well in European cities. In Pakistan, Indian films are banned but secretly sell and circulate in cities in pirated DVD, VCD and video cassettes. As Nirad C Chaudhury once observed, cinema has become the 'most widely appreciated and easily understood cultural expression in India'. 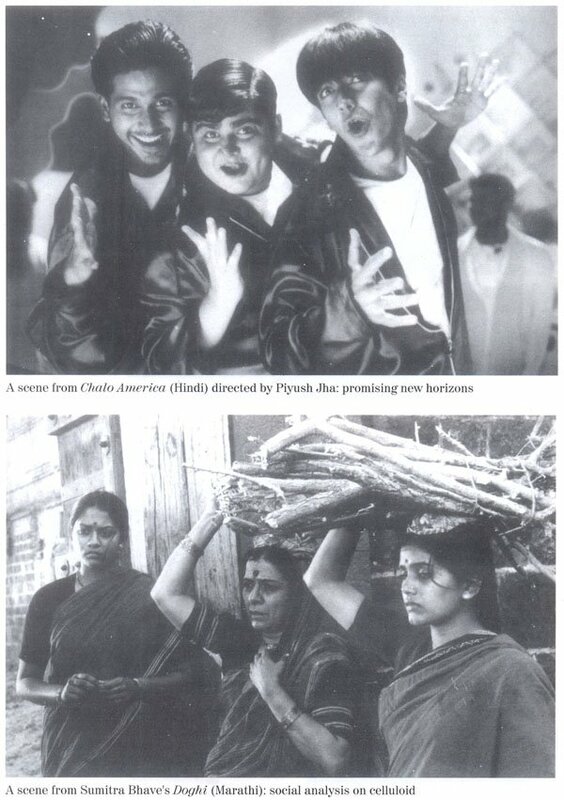 The film industry in six cities- Chennai, Kolkata, Mumbai, Bangalore, Hyderabad and Thiruvananthapuram- thrives on the massive patronage of popular cinema, which is as far removed from the offbeat genre as Pushpin is from poetry. 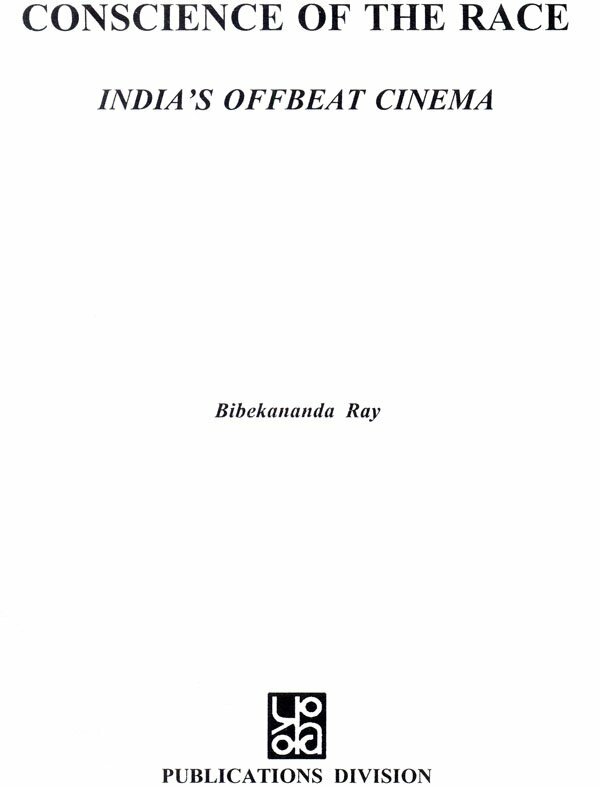 In writing this book, no ideological or sociological framework has been postulated to explain facets of Indian cinema- offbeat or mainstream because that would have been like the proverbial Procrustean bed, suiting facts to theory. As journalists say, "Facts are sacred; comments free." As history is not read like a novel, the book has been packed with information, which might have made it, in places, mere assemblage and a catalogue off acts. The title of the book is taken from a monologue of the young artist in James Joyce's novel, The Portrait of the Artist as a Young Man (1916). It implies that the offbeat genre, more than the mainstream, truly reflects the conscience of the Indian people. The latter does not lack in conscience but its reflection is often so phoney that it can hardly be called 'the conscience of the race'. Offbeat films may not interest many people for their stark realism and disturbing themes but their makers never fail to treat them conscientiously. The terms- 'offbeat' and 'mainstream' - have been used rather loosely, because the division is somewhat arbitrary, created by the media and did not exist before 1950s. A trend is emerging of diluting offbeat syndromes with entertainment values of the mainstream even by noted directors, like Shyam Benegal, Govind Nihalani and Prakash Jha. Similarly, many mainstream films like Lagaan (2001) are tending to offbeat, raising hope that someday, the twain will meet, erasing the division. Sources Materials of this book came from many sources- some direct, some indirect. 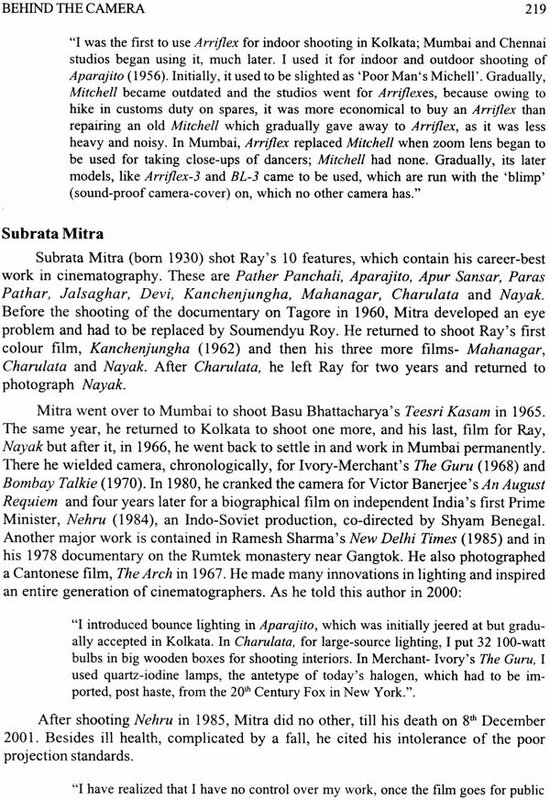 The direct sources are the legion of mainstream films, seen from childhood and from early youth, the films of Satyajit Ray (some, many times over), Ritwik Ghatak, Mrinal Sen and other offbeat directors of their and subsequent generations in many languages. 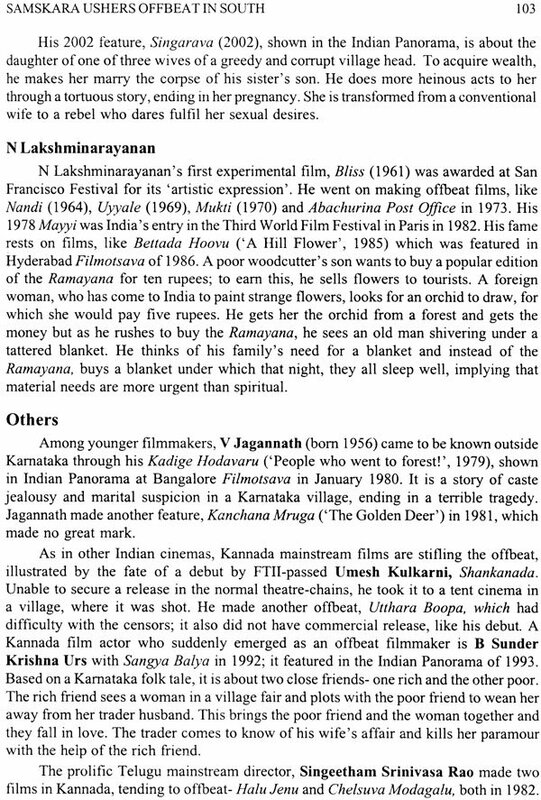 Among indirect sources are newspaper reports, reviews, supplements, magazine articles, publications of the Film Festival Directorate, many film histories, notably Indian Film by Erik Barnowe and S. Krishnaswamy, The Encyclopaedia of Indian Cinema by Ashish Rajadhyaksha and Paul Willemen, Indian Cinema by Feroze Rangoonwala, The New Indian Cinema by Aruna Vasudev and lately, The Cinemas of India by Yves Thoraval. Interviews with a host of film writers, makers, producers and technicians also yielded a lot of information and insight. Acknowledgements I benefitted from discussions with Chidananda Dasgupta (who graciously wrote a Foreword too for the whole of the Indian cinema and therefore, had to be abridged), Derek Malcolm of The Guardian (during his visits to Delhi festivals), Feroze Rangoonwala and Randor Guy- film writers in Mumbai and Chennai respectively. Studies in the National Film Archive of India at Pune yielded significant material. I am beholden to the Publications Division for assigning me to write this book. Prof. Barnik Roy, a friend and editor of La Poesie, constantly encouraged me to complete the manuscript and enquired about its fate. The Directorates of Advertising and Visual Publicity, Photo Division, Directorate of Film Festivals, all under the Ministry of Information & Broadcasting, Nemai Ghosh, Satyajit Ray's celebrity still photographer, provided most of the stills and other photos. There are many ways of introducing India's offbeat cinema, depending on whom it is introduced to. To foreigners, it has to be introduced differently than to our own people. Interpretations can also be diverse. Many people see it as an aberration from the more voluminous mainstream cinema but few will deny, as this author believes, that it is a vehicle of truer creative self-expression, reflecting the 'conscience of the race'. Diversity is the hallmark of Indian cinema. Although many regional cinemas have been influenced (if not stifled too) by the mainstream Hindi cinema, their milieus are diverse. Many regional mainstream cinemas are using the ingredients of successful Hindi blockbusters, which present, as Satyajit Ray put it, 'a synthetic, non-existent society'. This siren attraction works for only a handful of producers who can bear the enormous cost of making them, which ordinary regional producers cannot afford. The first Indian realist film- the label was then unknown- is Savkari Pash (aka 'An Indian Shylock') made by Baburao Painter for Maharashtra Film Company, Kolhapur and released in 1925. It was a silent film, comparable to Erich Von Stroheim's Greed (1924), on the stark theme of indebtedness of Maratha peasants to cruel usurers; so popular it became that it was remade by Painter as a talkie in 1936. V Shantaram, acting and directing from the Silent Era, made some realistic films, e.g. Duniya Naa Mane (1937) and Dahej (1950)- the first on a young girl forced to marry an old widower and the second on dowry in marriage- but made different films too. The first offbeat film, true to the European syndrome, was Nemai Ghosh's Chhinnamul (1950) and Bimal Roy's Do Bigha Zameen (1953). However, the first offbeat film to become a global rave and a kind of benchmark for the genre is Satyajit Ray's debut in 1955, Pather Panchali. In his 34 long and short features as well as five documentaries Ray proved himself to be its most steadfast and renowned contributor. The ripples, formed by Pather Panchali, swelled virtually to a wave in just 15 years, after the unexpected box-office success of Mrinal Sen' s Bhuban Shame and poignant realism of Mani Kaul's Uski Roti, both in 1969. The inspiration behind the offbeat genre came from the 'New Wave' cinema of Europe. 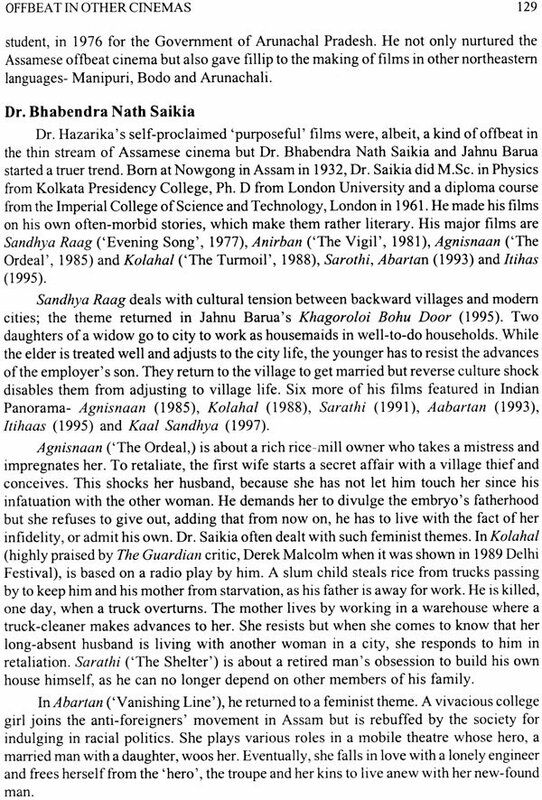 Bimal Roy's inspiration for Do Bigha Zameen came from some Italian, French and Japanese neo-realist films that he saw in the l "International Film Festival in Kolkata in 1952. 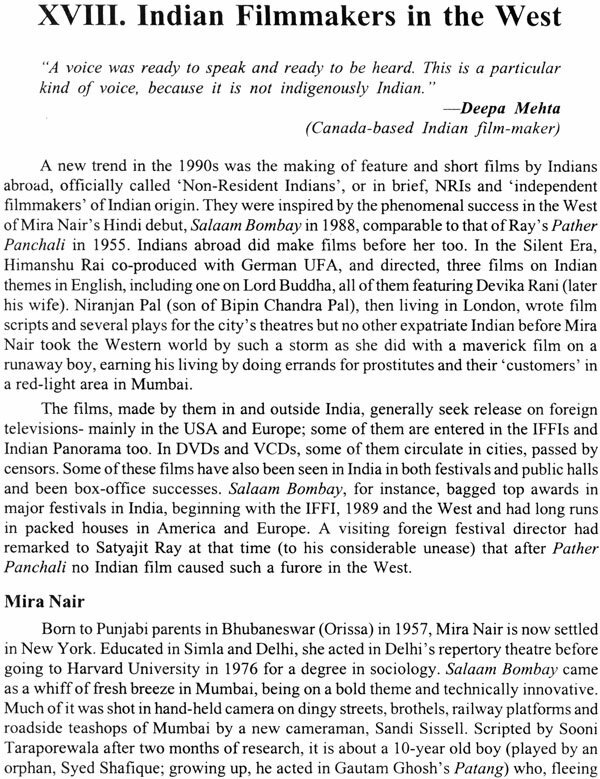 Satyajit Ray was inspired by De Sica's Bicycle Thief Films before Pather Panchali were not unrealistic but what made Satyajit Ray an exception was his resolve, evident in every film thereafter, not to dilute realism with extraneous ingredients of songs, dances or burlesque which mark and mar many mainstream films. Most other offbeat filmmakers too tread his path, with uneven talent and success but the viewers of their films are a minority. A rough estimate has it that only about three per cent of films, released every year, are 'offbeat'; the rest are the so-called 'middle' or 'mainstream' cinema, mostly of the entertaining kind, or just trash. The offbeat genre turned upside down certain conventions, common in the mainstream cinema. As many silent feature films took off from popular plays, stage conventions persisted in cinema for a long time. Acting was theatrical- loud and wordy; characters entered and went out from the focus field, as in a stage-play. Even the songs and dances, as Satyajit Ray said, are 'a legacy of the theatrical-operatic tradition'. Offbeat directors 'de-dramatised' cine-acting. 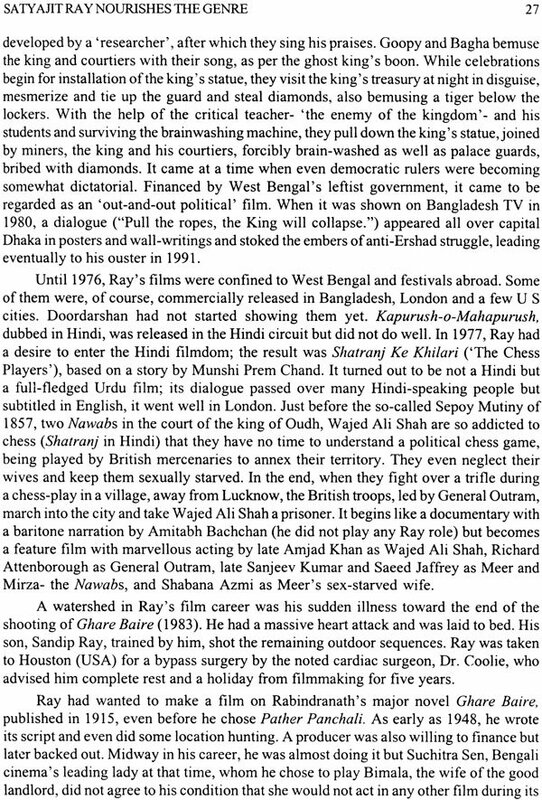 In Nayak (1966), Ray devoted two sequences to underline the difference between cinematic and stage acting by their advocates. In an interview to Sharmila Tagore for a video news-magazine, shortly before his death, he spoke of precision in cinematic acting, as opposed to exaggeration in theatrical, how "slight excess before the camera could ruin a scene". Theatrical conventions persist in many regional cinemas, burdened with 'words, words, words'- a legacy from folk plays- and ceaseless drone on the soundtrack. Major regional cinemas have, since 1970s, have developed an offbeat- genre as a kind of protest to generally uncinematic mainstream. As the French historian of Indian cinema (The Cinemas of India, 2000) says, "New Cinema is a direct reaction to the total absence of 'roots' - not to speak of an aesthetic vacuum- which characterised commercial Hindi cinema of the 1960s and '70s". However, most artistes and technicians work in both without any qualm, because they cannot survive on the offbeat genre alone, except Ray's team in his early films, who waited for his next film. Inevitably, mainstream films are many more in number and bring more money to producers. Because of this, some offbeat directors have defected to the mainstream; it is rarely the other way about. G.V. Iyer of Kannada cinema is perhaps a solitary exception. Many offbeat filmmakers evince originality in theme and treatment but few are alike. There is no common creed or ethos except their urge to make their films reflect reality, unspoilt by inroads of extraneous entertaining values. Some films convey anger and angst, conspicuously Mrinal Sen' sand Govind Nihalani's, against the social, economic and political order; others fume at obscurantism, caste barriers, religious bigotry and oppression of women and other weaker people. Satyajit Ray used the word 'offbeat' to describe his kind of cinema. In an article in 1965, he wrote: "I knew, what I was going to do was offbeat". In Italy and France, where this kind of cinema first emerged during the Second World War, it earned the rubrics- 'Neo-Realist', Auteur ('author') and Nouvalle Vague ('New Wave'). When the genre started in India with Ray's Pather Panchali in 1955, it began to be called 'art' or parallel cinema, used extensively from the 1970s when a kind of 'wave' of such films rose in Hindi, Bengali and Malayalam. However, 'offbeat' is a better rubric, because not all such films were artistic and the genre never ran parallel to the more popular mainstream, because offbeat films were and continue to be fewer. A phenomenon of the 1940s, which contributed to the rise of the offbeat genre, was the retreat of the story from cinema, like that of poetry with the advance of civilization. Feature films with thin, or practically no, storylines but replete with entertaining ingredients like songs, dances and fights, became a new craze after the Second World War. Contractors, flush with funds, earned from War supplies and black marketing, invested in filmmaking for big profit. They popularised a form of mindless and debasing entertainment, having no desire or ability of the urban middle class, who were making films before, to protect or promote culture. B N Reddy was so distressed by this trend in Telugu cinema that he gave up filmmaking in the prime of his career. Bimal Roy in Mumbai, equally disgusted, tried to check this trend, unsuccessfully. "Considering its lusty existence for well over two thousand years, it seems naive to believe that the last ten years or so have somehow seen the demise of the story .... The love of narrative, in no matter what disguised form, is too deeply ingrained in the human species.... By discarding the story altogether, one would be destroying the very basis of a film that a lot of people are expected to see and like. " The story thinned in some offbeat films too but for a different reason. 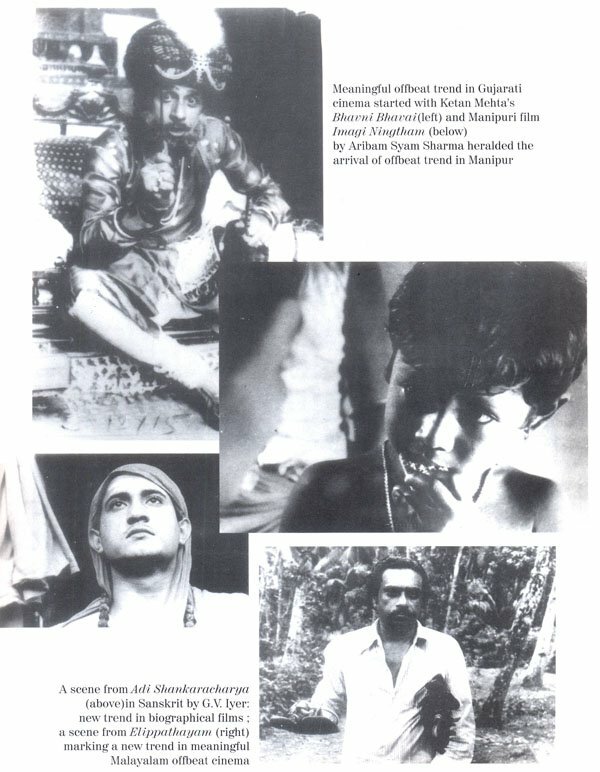 Some avant-garde European filmmakers were discarding it in the 1960s; this influenced a few of the first and second generation offbeat directors in India. 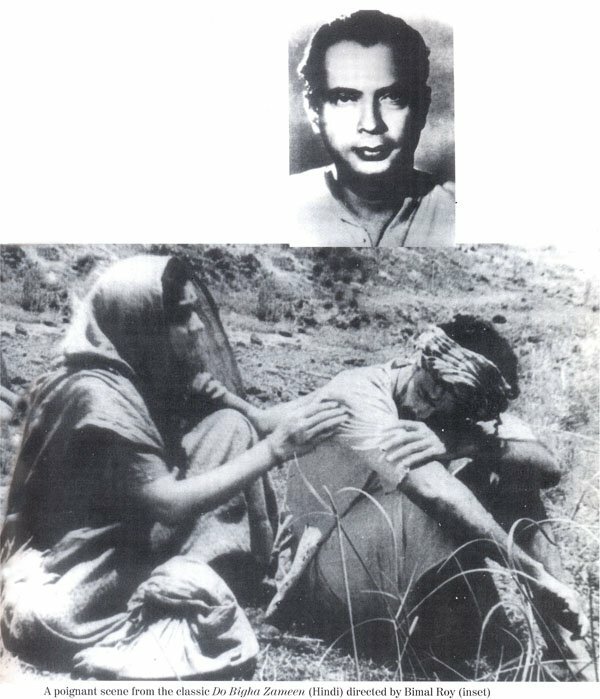 Mrinal Sen came under the influence of two avant-garde filmmakers of France- Jean Luc Goddard and Francois Truffeaut- and emulating them, was "irresistibly drawn towards a non-narrative form and, in the process, trying to de-emphasize plot and incident" to lend to his films a 'contemporary idiom'. "I do not any longer want to see my film being controlled by a thoroughly calculated and thus fully developed story". However, box-office failures of many of these films made him return to the narrative in films. "There is no need for cinema to be an offshoot of literature; in fact, it should ideally free itself from literature and the stage. Means of expression in cinema and literature (also stage) are different. In a true work of cinema, the story could be secondary-just an excuse. The story could just be the seed of an idea that the filmmaker wants to convey."